Sheths Interiors Ltd is a family run business established over a period of 38 years, serving the plumbing and heating industry in the North West . Over the past 21 years the introduction of an exciting collection of contemporary and traditional style Bathrooms, Tiles, Kitchen and Bedrooms suites fittings have helped broaden our horizons. 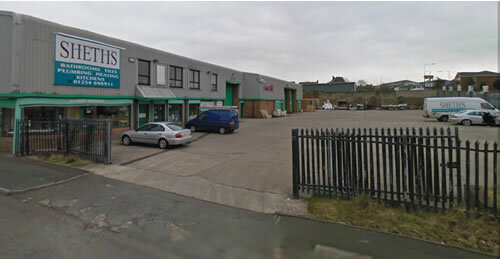 Situated in Blackburn, Lancashire the company has grown from a local corner plumbing and heating distributor shop, to a 40,000 square foot warehouse dealing with top brand named manufacturers, likes of Jacuzzi, Duravit, Axor, Hansgrohe, Bisque, Keuco, Matki, Kohler, Merlyn, Sottini, Warendorf, Next125, Chippendale, Nobilia, Verona, Franke, Quooker, Viallant, Polypipe, Pipelife, Speedfit, CAD, Worcester Bosch, Verona, Dune Tile, Aparechi and many more . It owes its success to an extensive range of furnishings and its flexible, personal and excellent customer service. The team comprises of experienced and highly skilled professionals from the Plumbing, Heating, Bathrooms, Tile, Kitchens, Bedrooms and Information Technology Industries. Sheth's provide a wide range of products, from free standing bath tubs to Shower enclosures, all the necessities of the 21 st century community can be catered for with a simple and easy order process. Choose the product, the finish; place the order and one of our customer's sales people will contact you back with details of the order.